Name Index Wilfred Russell WHYNOT was born in 1904 in Milton, Queens County, Nova Scotia. He died on 11 December 1974 at the age of 70 in Milton, Queens County, Nova Scotia. He was buried in the Trinity Anglican Church Cemetery in Liverpool. Parents: James Stephen WHYNOT and Sarah Hilda HEBB. Spouse: Rita Alice HUBLEY. Rita Alice HUBLEY and Wilfred Russell WHYNOT were married on 15 June 1933. William Alexander WHYNOT was born on 30 August 1865. He died on 12 April 1954 at the age of 88. He was buried in the Trinity Anglican Church Cemetery in Liverpool. Parents: John Frederick WHYNOT and Mary Elizabeth OICKLE. Spouse: Sophia Elizabeth WESTHAVER. Sophia Elizabeth WESTHAVER and William Alexander WHYNOT were married on 18 February 1889 in Liverpool, Queens County, Nova Scotia. Children were: James Walter WHYNOT, Jeremiah Franklin WHYNOT, James Elmer WHYNOT, Roland Clayton WHYNOT, Ellen Robina WHYNOT, Eva Evelyn WHYNOT, Bessie Aletha WHYNOT, Churchill Jordan WHYNOT, Joseph Whitman WHYNOT, Francis Gillflower WHYNOT, William Hallett WHYNOT, Gladys Belle WHYNOT, Violet Rosetta WHYNOT, Margaret Madeline WHYNOT, Ollie Lollett WHYNOT, Clyde Stuart WHYNOT. William Allen WHYNOT was born on 19 October 1893 in Milton, Queens County, Nova Scotia. He died on 12 July 1973 at the age of 79. Parents: John Richard WHYNOT and Waity WHYNOT. Spouse: Kathleen Rose CANNING. Kathleen Rose CANNING and William Allen WHYNOT were married on 18 November 1919. William Annis WHYNOT was born on 8 April 1844 in Bridgewater, Lunenburg County, Nova Scotia. He died on 19 June 1898 at the age of 54 in Milton, Queens County, Nova Scotia. He was buried in the Milton Community Cemetery. Parents: Johann Leonard WEINACHT and Elizabeth (twin) VEINOT. Spouse: Maria EISENHAUER. Maria EISENHAUER and William Annis WHYNOT were married on 2 September 1876. Children were: Gilbert Smith WHYNOT. William Douglas WHYNOT was born in 1924 in Danesville, Queens County, Nova Scotia. He died on 21 November 1999 at the age of 75 in Liverpool, Queens County, Nova Scotia. He was buried in the Maple Hill Cemetery in Voglers Cove. Parents: UNKNOWN and Viola Elizabeth WHYNOT. Living (private). Parents: William Douglas WHYNOT and Living. William Enos WHYNOT was born on 1 September 1850. He died on 19 March 1927 at the age of 76 in Buckfield, Queens County, Nova Scotia. He was buried in Greenfield, Queens County, Nova Scotia. Parents: Johann Leonard WEINACHT and Elizabeth (twin) VEINOT. Spouse: Sophia Rebecca BECK. Sophia Rebecca BECK and William Enos WHYNOT were married on 5 September 1869. Spouse: Anna Louise VEINOT. Anna Louise VEINOT and William Enos WHYNOT were married on 21 April 1874 in Labelle, Queens County, Nova Scotia. Children were: Sarah Adelaide "Sadie" WHYNOT. William Hallett WHYNOT was born on 16 November 1905 in Liverpool, Queens County, Nova Scotia. He died in 1983 at the age of 78. He was buried in the Trinity Anglican Church Cemetery in Liverpool. Parents: William Alexander WHYNOT and Sophia Elizabeth WESTHAVER. Spouse: Annie Leavina ROY. Annie Leavina ROY and William Hallett WHYNOT were married on 26 April 1926 in Liverpool, Queens County, Nova Scotia. William Harris WHYNOT was born in 1875 in Liverpool, Queens County, Nova Scotia. He died on 9 July 1909 at the age of 34 in Liverpool, Queens County, Nova Scotia. He was buried in the Trinity Anglican Church Cemetery in Liverpool. Parents: James Ephraim WHYNOT and Elizabeth Adelaide DEMONE. Spouse: Hattie Bell WESTHAVER. Hattie Bell WESTHAVER and William Harris WHYNOT were married on 7 November 1900 in Liverpool, Queens County, Nova Scotia. Children were: Harris James WHYNOT, Evelyn Eleanor WHYNOT. William Henry WHYNOT was born on 30 September 1868. He died on 19 March 1957 at the age of 88. He was buried in the Trinity Anglican Church Cemetery in Liverpool. Parents: John Frederick WHYNOT and Mary Elizabeth OICKLE. Spouse: Annie Elizabeth WHYNOT. Annie Elizabeth WHYNOT and William Henry WHYNOT were married on 13 July 1893 in Liverpool, Queens County, Nova Scotia. Children were: Etta Florence WHYNOT, Joseph Howard WHYNOT, Harold Stanley WHYNOT, James Lawson WHYNOT, John Andrew WHYNOT, Emma Adelaide WHYNOT, William Russell WHYNOT, Alfred Esmond WHYNOT, Nora Dale WHYNOT, Clarence James WHYNOT, Mabel Marie WHYNOT, Helen Adelaide WHYNOT, Gerald Dunning WHYNOT, Rosetta Maude WHYNOT, Lillian May WHYNOT. Spouse: Ina Alice Elizabeth WILLIAMS. Ina Alice Elizabeth WILLIAMS and William Henry WHYNOT were married on 25 September 1926 in Liverpool, Queens County, Nova Scotia. William Henry WHYNOT was born on 9 April 1878 in Milton, Queens County, Nova Scotia. Parents: David Cornellius WHYNOT and Sarah Elizabeth RAMEY. Spouse: Agnes Teresa FRANCK. Agnes Teresa FRANCK and William Henry WHYNOT were married on 16 November 1914 in Milton, Queens County, Nova Scotia. William Reginald WHYNOT was born on 31 July 1911 in Liverpool, Queens County, Nova Scotia. He died on 20 March 1982 at the age of 70 in Liverpool, Queens County, Nova Scotia. He was buried in the Trinity Anglican Church Cemetery in Liverpool. Parents: Walter Smith WHYNOT and Edna May WHYNOT. Spouse: Marion May WAGNER. Marion May WAGNER and William Reginald WHYNOT were married on 28 May 1932 in Liverpool, Queens County, Nova Scotia. Children were: John "Jack" WHYNOTT, Clifford Reginald WHYNOT, Living, Living. William Robert WHYNOT was born on 9 April 1841. He died on 26 March 1900 at the age of 58 in Boston, Suffolk County, Massachusetts. Parents: Johan George WEINACHT and Caroline ROBAR. Spouse: Catherine KEYS. Catherine KEYS and William Robert WHYNOT were married. William Russell WHYNOT was born on 27 December 1901 in Liverpool, Queens County, Nova Scotia. He died on 24 December 1959 at the age of 57. Parents: William Henry WHYNOT and Annie Elizabeth WHYNOT. Spouse: Lillian Irene SLAUENWHITE. Lillian Irene SLAUENWHITE and William Russell WHYNOT were married on 16 January 1934 in Liverpool, Queens County, Nova Scotia. Alexander Newton WHYNOTT was born in April 1860 in New Germany, Lunenburg County, Nova Scotia. He died on 1 October 1935 at the age of 75 in Annapolis County, Nova Scotia. He was buried in Windsor, Hants County, Nova Scotia. Parents: James William WHYNOTT and Mary Semina "Jemima" FEINDEL. Spouse: Olivia SPENCER. Olivia SPENCER and Alexander Newton WHYNOTT were married on 21 November 1882 in Kings County, Nova Scotia. Children were: Kenneth Newton WHYNOT. Spouse: Eleanor M "Ellen" CONRAD. Eleanor M "Ellen" CONRAD and Alexander Newton WHYNOTT were married on 25 December 1926 in New Germany, Lunenburg County, Nova Scotia. Arthur Kendall WHYNOTT was born on 15 November 1924. He died on 28 October 1960 at the age of 35 in New Orleans Louisiana. He drowned. 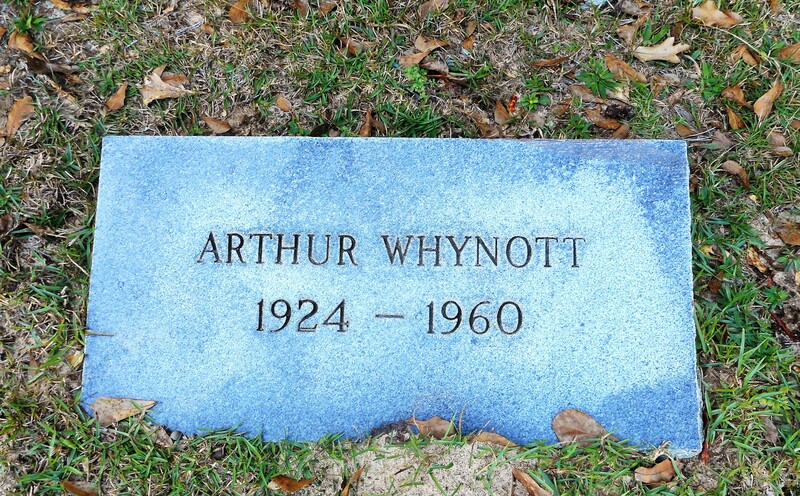 He was buried in the Roberts Chapel United Methodist Church Cemetery in Mobile County, Alabama. Parents: Arthur Maurice WHYNOT and Edith May (twin) WAMBOLDT. Blaine LeRoy WHYNOTT was born in 1954 in Liverpool, Queens County, Nova Scotia. He died on 6 August 2014 at the age of 60 in Liverpool, Queens County, Nova Scotia. He was cremated. Parents: Living and Living. Living (private). Parents: James Oran WHYNOTT and Sadie Mary FORGERON. Living (private). Parents: Harold Stanley WHYNOT and Agnes Madeline WAMBOLDT. Spouse: Living. Children were: Living, Blaine LeRoy WHYNOTT. James Oran WHYNOTT was born on 25 March 1922 in Cherry Hill, Lunenburg County, Nova Scotia. He died on 25 December 2008 at the age of 86 in St. Catharines, Ontario. He was cremated. James was buried in the Pleasant View Memorial Gardens in Fonthill, Ontario. Parents: Wildon James WHYNOTT and Marion Ethel LOHNES. Spouse: Sadie Mary FORGERON. Sadie Mary FORGERON and James Oran WHYNOTT were married in 1953. Children were: Living. James William WHYNOTT was born on 10 September 1833. Parents: Johan Benjamin WEINACHT and Frances Barbara "Fanny" ALLEN. Spouse: Mary Semina "Jemima" FEINDEL. Mary Semina "Jemima" FEINDEL and James William WHYNOTT were married. Children were: Alexander Newton WHYNOTT. John WHYNOTT was born on 14 February 1827 in Blue Rocks, Lunenburg County, Nova Scotia. He died on 27 March 1906 at the age of 79 in Port Medway, Queens County, Nova Scotia. He was buried in the Old Cemetery in Port Medway. Parents: Johan Jacob WEINACHT and Sophia Elizabeth RAFUSE. Spouse: Maria Elizabeth GILFOY. Maria Elizabeth GILFOY and John WHYNOTT were married on 29 December 1848 in Blue Rocks, Lunenburg County, Nova Scotia. Children were: Mary Eleanor WHYNOCK, George James WHYNOCK, Martin Alfred WHYNACHT. Spouse: Mary Louisa SELIG. Mary Louisa SELIG and John WHYNOTT were married on 17 May 1863. Children were: Henry Benjamin WHYNOCK. Spouse: Lucinda SNOW. Lucinda SNOW and John WHYNOTT were married on 1 November 1870. Children were: Emma Jane Mitchell WHYNOT. Spouse: Elizabeth BINCH. Elizabeth BINCH and John WHYNOTT were married on 21 May 1875. Children were: Henry Bradford WHYNOT, Florence Elizabeth WHYNACHT. John "Jack" WHYNOTT was born in 1933 in Liverpool, Queens County, Nova Scotia. He died in 1990 at the age of 57. He was buried in the Trinity Anglican Church Cemetery in Liverpool. Parents: William Reginald WHYNOT and Marion May WAGNER. Wildon James WHYNOTT was born on 7 June 1885 in Voglers Cove, Lunenburg County, Nova Scotia. He died on 7 August 1926 at the age of 41. He was lost at sea off Sable Island on the vessel "The Sylvia Mosher". Parents: George James WHYNOCK and Bertha Martha BOWERS. Spouse: Marion Ethel LOHNES. Marion Ethel LOHNES and Wildon James WHYNOTT were married on 5 December 1921. Children were: James Oran WHYNOTT, Kelly Ariel "John" WHYNACHT. Joanna Louise WICKWIRE was born on 19 September 1854. She died on 14 October 1943 at the age of 89 in Liverpool, Queens County, Nova Scotia. She was buried in the Mill Village Community Cemetery. Spouse: George A. MANTHORNE. Joanna Louise WICKWIRE and George A. MANTHORNE were married on 23 November 1892 in Milford, Hants County, Nova Scotia. Children were: Flora Belle MANTHORNE. Anna Catherine Elizabeth WIEST was born in October 1747 in Hessen-Darmstadt, Germany. She died on 27 June 1829 at the age of 81. Spouse: Johann Jacob MOSHER. Anna Catherine Elizabeth WIEST and Johann Jacob MOSHER were married on 26 July 1794. Benjamin Enos WIGHT was born on 22 November 1865 in Blue Rocks, Lunenburg County, Nova Scotia. He died on 2 February 1922 at the age of 56. Parents: William WIGHT and Sophia Esther GILFOY. Spouse: Eunice Amerett LIGHTFOOT. Eunice Amerett LIGHTFOOT and Benjamin Enos WIGHT were married on 11 May 1885. Charles Freeman WIGHT was born on 29 July 1902 in Port Medway, Queens County, Nova Scotia. Parents: James David WIGHT and Augusta Isabella HOPKINS. Daniel WIGHT was born on 26 August 1855 in Blue Rocks, Lunenburg County, Nova Scotia. Parents: William WIGHT and Sophia Esther GILFOY. David WIGHT was born in 1772 in Scotland. He died on 7 November 1857 at the age of 85 in Lunenburg, Lunenburg County, Nova Scotia. Spouse: UNKNOWN. UNKNOWN and David WIGHT were married. Children were: David WHITE. Emma May WIGHT was born on 18 December 1904 in Port Medway, Queens County, Nova Scotia. Parents: James David WIGHT and Augusta Isabella HOPKINS. Emma Sophia WIGHT was born on 30 September 1867 in Blue Rocks, Lunenburg County, Nova Scotia. She died on 22 April 1957 at the age of 89 in Halifax, Halifax County, Nova Scotia. She was buried in the Camp Hill Cemetery in Halifax. Parents: William WIGHT and Sophia Esther GILFOY. Spouse: John Jacob TANNER. Emma Sophia WIGHT and John Jacob TANNER were married on 2 January 1883. Evelyn Jean WIGHT was born on 14 October 1912 in Port Medway, Queens County, Nova Scotia. She died on 7 December 1999 at the age of 87 in Bridgewater, Lunenburg County, Nova Scotia. She was buried in the New Community Cemetery in Second Peninsula. Parents: William Clarence Drew WIGHT and Minnie May RHODENIZER. Spouse: David Murray STEVENS. Evelyn Jean WIGHT and David Murray STEVENS were married on 17 August 1931. Children were: Living, Living. George Andrew Grey WIGHT was born on 24 December 1899 in Port Medway, Queens County, Nova Scotia. He died on 9 November 1926 at the age of 26 in Daysrping, Lunenburg County, Nova Scotia. He was buried in Daysrping, Lunenburg County, Nova Scotia. Parents: James David WIGHT and Augusta Isabella HOPKINS. George Robert WIGHT was born on 2 July 1863 in Blue Rocks, Lunenburg County, Nova Scotia. He died on 8 November 1935 at the age of 72 in Stonehurst, Lunenburg County, Nova Scotia. 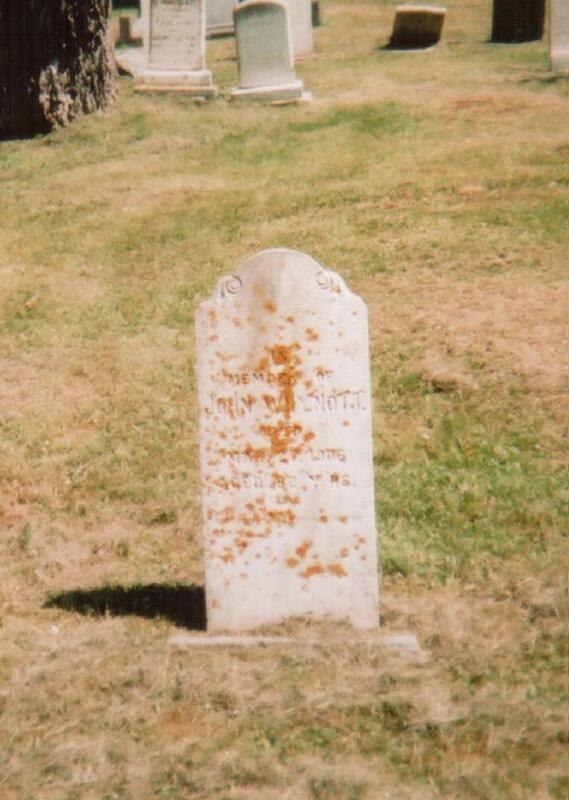 He was buried in Blue Rocks, Lunenburg County, Nova Scotia. Parents: William WIGHT and Sophia Esther GILFOY. Spouse: Angeline TANNER. Angeline TANNER and George Robert WIGHT were married on 22 October 1884. Living (private). Parents: Russell Andrew WIGHT and Madalene Hilda SLAUENWHITE. James WIGHT was born on 20 March 1853 in Blue Rocks, Lunenburg County, Nova Scotia. Parents: William WIGHT and Sophia Esther GILFOY. James David WIGHT was born on 7 July 1859 in Blue Rocks, Lunenburg County, Nova Scotia. He died on 14 July 1936 at the age of 77. He was buried in the Old Cemetery in Port Medway. Parents: William WIGHT and Sophia Esther GILFOY. Spouse: Augusta Isabella HOPKINS. Augusta Isabella HOPKINS and James David WIGHT were married on 10 January 1889. Children were: William Clarence Drew WIGHT, Lemuel WIGHT, Sarah Belle "Sadie" WIGHT, George Andrew Grey WIGHT, Charles Freeman WIGHT, Emma May WIGHT, John Henry WIGHT. John Henry WIGHT was born on 29 October 1908. He died on 24 May 1927 at the age of 18. He was buried in the Old Cemetery in Port Medway. Parents: James David WIGHT and Augusta Isabella HOPKINS. Lemuel WIGHT was born in 1873 in Eastern Points, Lunenburg County, Nova Scotia. He died in 1899 at the age of 26. Parents: William WIGHT and Sophia Esther GILFOY. Spouse: Georgina WHYNACHT. Georgina WHYNACHT and Lemuel WIGHT were married on 19 January 1895 in Lunenburg, Lunenburg County, Nova Scotia. Lemuel WIGHT was born on 12 December 1894. Parents: James David WIGHT and Augusta Isabella HOPKINS. Louis William WIGHT was born in 1926. He died on 30 May 1996 at the age of 70 in Halifax, Halifax County, Nova Scotia. He was buried in the Gate of Heaven Cemetery in Lower Sackville. Parents: William Howard WHITE and Eva Lavaughn COOK. Louise Ruth WIGHT was born on 11 December 1924 in Port Medway, Queens County, Nova Scotia. She died on 1 February 2010 at the age of 85 in Halifax, Halifax County, Nova Scotia. She was cremated. Parents: William Clarence Drew WIGHT and Minnie May RHODENIZER. Spouse: Leon HARDING. Louise Ruth WIGHT and Leon HARDING were married.